ZARATHUSTRA "Zoroaster Hymns of the Zend Avesta"
The Parthian dynasty, and the Sassanians who followed them, were for centuries the most dangerous opponents on Rome's eastern frontiers. The kings considered themselves heirs to the Achaemenid Empire. While the Pathians adopted much from Hellenic tradition, the Sassanians sought to revive Persian traditions such as Zoroastrianism. Rome was also influenced by Persian traditions, the Byzantine Empire inspired by Eastern "divine rule." Exhausted by its struggles with Rome, the Sassanid Empire ultimately succumbed to the Arab Muslim invasions of the seventh century a.d. The Parthian Empire 250 B.C.-224 A.D. The Parthians emerged as the successors to the Seleucid Empire. They extended their territories westward, which eventually brought them into conflict with the Roman Empire. 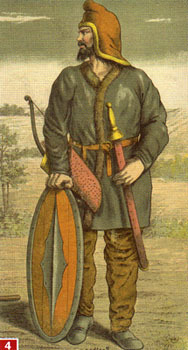 Beginning in the fourth century B.C., the Parni, a tribe of nomads, migrated from the southeastern shore of the Caspian Sea into the Iranian highlands. They were known as 1, 2, 4 Parthians after the province of Parthia, which they conquered in 250 B.C. under their first ruler, Arsaces I. He and his successors, the Arsacids, drove the Seleucids out of Iran and under Mithradates I in the second century B.C., out of Mesopotamia. This then became the center of their empire, with its capital, 6 Ctesiphon, located on the Tigris River. The Parthians adopted the 3 Hellenistic culture of the Seleucids, as well as their administrative structure. The provinces were almost autonomously ruled by independent governors, who were often members of the ruling royal dynasty. The Parthian Empire reached its greatest extent under Mithradates II "the Great" in the first century B.C., when it stretched from the Euphrates to the Indus. 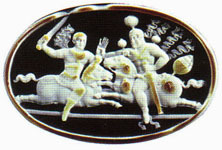 There were clashes with the Roman Empire over the control of Armenia, but neither side was able to gain the upper hand. The Parthians defeated the Roman consul Crassus in the Battle of 5 Carrhae in 53 �.�. 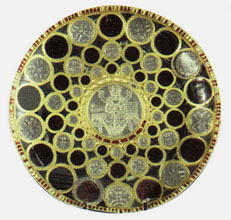 However, during the reign of Augustus the Romans were able to take advantage of the Parthian provincial governors' desire for independence and dynastic disputes over the throne. The Romans thus pursued a policy of divide and rule by supporting different pretenders to the Parthian throne. Emperor Trajan conquered Mesopotamia in 114 but it was lost again under Hadrian. Further Roman campaigns against the Parthians followed at the beginning of the third century. The Parthians were forced to make peace with the Romans in 218, as their empire was starting to collapse from within. 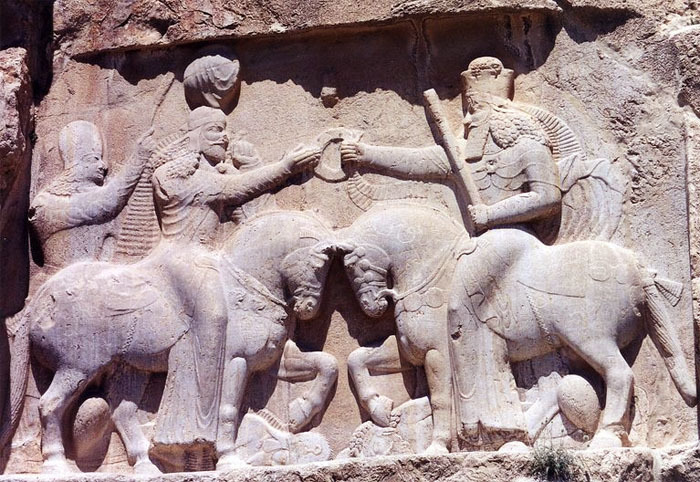 Finally, Ardashir, who as a Parthian governor had run Fars (Persis), the ancient Achaemenid home province, ended Arsacid rule in 224 and replaced it with the Sassanid dynasty. The Empire of the Sassanians 224-651 A.D. The Sassanians saw themselves as heirs to the Achaemenids and sought to revive their culture. War with the Romans drained the kingdom and it succumbed to the Arab invasions. 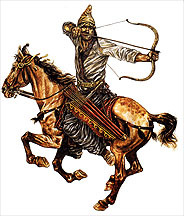 The Sassanid 10 Ardashir I overthrew the last of the Parthian rulers in 224. To a much greater extent than the Arsacids, the Sassanians identified with the ancient Persian traditions and sought to revive this culture, particularly Zoroastrianism. This became the official state religion. The Sassanians attempted to revoke the autonomy of the provinces�which would ultimately result in the downfall of the Parthian Empire�and centralized all authority. 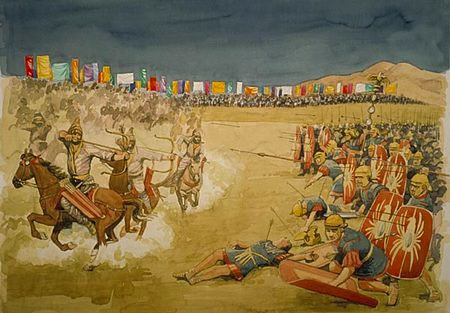 The Sassanians continued to pursue the conflict with the Romans and the Byzantine Empire. Shapur I defeated the Romans with ease at Edessa in 260 and even took 9 Emperor Valerian prisoner. Under Shapur's successors in the fourth century, Christians were seen as politically suspect and persecuted as potential supporters of Rome. Once the conflict ended, in the fifth century, they were granted freedom to practice their religion. The Sassanid Empire reached the height of its power under 7 Khosrow I, who had destroyed the Hephthalite Empire by 560 and conquered southern Arabia by 570. War with the Bvzantines culminated in 8, 12 Khosrow II bringing the Byzantine Empire to the verge of collapse. He occupied Syria and Egypt, before capturing Jerusalem in 614, and stealing holy relics. The Fmperor Heraclius, however, halted the Persian advance, and won a decisive victory in the Battle of Nineveh in 627. Khosrow II was deposed and 11 murdered, while his successor had no choice but to make peace with Heraclius. Persia had been so militarily exhausted by the conflict that it was unable to defend itself effectively against the onslaught of the Arab invaders spreading Islam. 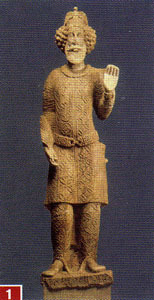 The last Sassanid, Yazdegerd III, fled eastwards and was murdered in 651. However, the language and refined culture of the Persians fused with the new faith, and marked out the elite. 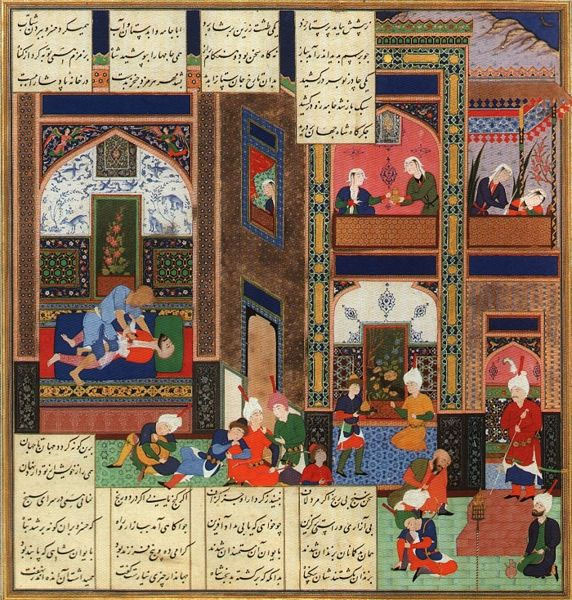 In the third century a.d., a Persian thinker, Manichaeus, propagated a dualistic doctrine that integrated elements of Zoroastrianism, Christianity, and Buddhism, and to which he gave his name. He identified God with the kingdom of light that opposed a kingdom of darkness and taught that man must constantly defend himself against the darkness, which threatens him. Mankind is helped in this by redeemers sent by God. Manichaeism strongly influenced both Gnosticism and Christianity. He was persecuted as a heretic and flayed to death in 276 a.d.
Dualistic religious movement founded in Persia in the 3rd century AD by Mani, who was known as the "Apostle of Light" and supreme "Illuminator." 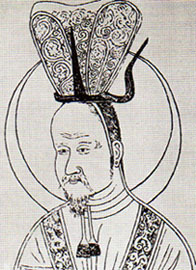 Although Manichaeism was long considered a Christian heresy, it was a religion in its own right that, because of the coherence of its doctrines and the rigidness of its structure and institutions, preserved throughout its history a unity and unique character. Mani was born in southern Babylonia (now in Iraq). With his "annunciation" at the age of 24, he obeyed a heavenly order to manifest himself publicly and to proclaim his doctrines; thus began the new religion. From that point on, Mani preached throughout the Persian Empire. At first unhindered, he later was opposed by the king, condemned, and imprisoned. After 26 days of trials, which his followers called the "Passion of the Illuminator" or Mani's "crucifixion," Mani delivered a final message to his disciples and died (sometime between 274 and 277). During the lifetime of Mani, Manichaeism spread to the eastern provinces of the Persian Sasanian Empire. 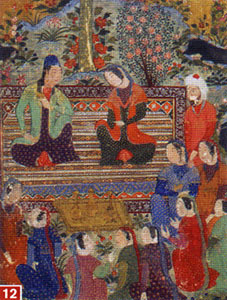 Within Persia itself, the Manichaean community maintained itself in spite of severe persecutions, until Muslim 'Abbasid persecution in the 10th century forced the transfer of the seat of the Manichaean leader to Samarkand (now in Uzbekistan). The religion's expansion to the East had already begun in the 7th century with the reopening of caravan routes there after China's conquest of East Turkistan. A Manichaean missionary reached the Chinese court in 694, and in 732 an edict gave the religion freedom of worship in China. When East Turkistan was conquered in the 8th century by the Uighur Turks, one of their leaders adopted Manichaeism and it remained the state religion of the Uighur kingdom until its overthrow in 840. Manichaeism itself probably survived in East Turkistan until the Mongol invasion in the 13th century. In China it was forbidden in 843, but, although persecuted, it continued there at least until the 14th century. At its core, Manichaeism was a type of Gnosticism--a dualistic religion that offered salvation through special knowledge (gnosis) of spiritual truth. Like all forms of Gnosticism, Manichaeism taught that life in this world is unbearably painful and radically evil. Inner illumination or gnosis reveals that the soul which shares in the nature of God has fallen into the evil world of matter and must be saved by means of the spirit or intelligence (nous). To know one's self is to recover one's true self, which was previously clouded by ignorance and lack of self-consciousness because of its mingling with the body and with matter. In Manichaeism, to know one's self is to see one's soul as sharing in the very nature of God and as coming from a transcendent world. Knowledge enables a person to realize that, despite his abject present condition in the material world, he does not cease to remain united to the transcendent world by eternal and immanent bonds with it. Thus, knowledge is the only way to salvation. The saving knowledge of the true nature and destiny of humanity, God, and the universe is expressed in Manichaeism in a complex mythology. Whatever its details, the essential theme of this mythology remains constant: the soul is fallen, entangled with evil matter, and then liberated by the spirit or nous. The myth unfolds in three stages: a past period in which there was a separation of the two radically opposed substances--Spirit and Matter, Good and Evil, Light and Darkness; a middle period (corresponding to the present) during which the two substances are mixed; and a future period in which the original duality will be reestablished. At death the soul of the righteous person returns to Paradise. The soul of the person who persisted in things of the flesh--fornication, procreation, possessions, cultivation, harvesting, eating of meat, drinking of wine--is condemned to rebirth in a succession of bodies. A major personality in the history of the religions of the world, Zoroaster has been the object of much attention for two reasons. On the one hand, he became a legendary figure believed to be connected with occult knowledge and magical practices in the Near Eastern and Mediterranean world in the Hellenistic Age (c. 300 bc�c. ad 300). On the other hand, his monotheistic concept of God has attracted the attention of modern historians of religion, who have speculated on the connections between his teaching and Judaism and Christianity. Though extreme claims of pan-Iranianism (i.e., that Zoroastrian or Iranian ideas influenced Greek, Roman, and Jewish thought) may be disregarded, the pervasive influence of Zoroaster�s religious thought must nevertheless be recognized. The student of Zoroastrianism is confronted by several problems concerning the religion�s founder. One question is what part of Zoroastrianism derives from Zoroaster�s tribal religion and what part was new as a result of his visions and creative religious genius. Another question is the extent to which the later Zoroastrian religion (Mazdaism) of the Sāsānian period (ad 224�651) genuinely reflected the teachings of Zoroaster. A third question is the extent to which the sources�the Avesta (the Zoroastrian scriptures) with the Gāthās (older hymns), the Middle Persian Pahlavi Books, and reports of various Greek authors�offer an authentic guide to Zoroaster�s ideas. A biographical account of Zoroaster is tenuous at best or speculative at the other extreme. The date of Zoroaster�s life cannot be ascertained with any degree of certainty. 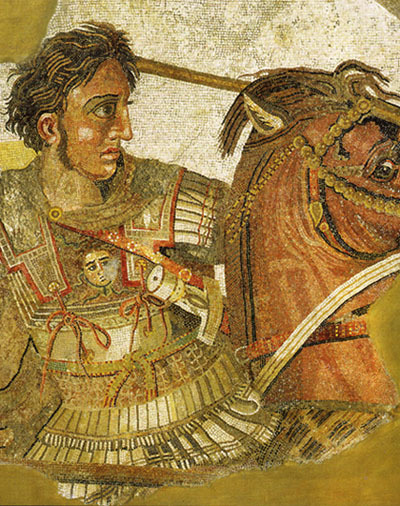 According to Zoroastrian tradition, he flourished �258 years before Alexander.� Alexander the Great conquered Persepolis, the capital of the Achaemenids, a dynasty that ruled Persia from 559 to 330 bc, in 330 bc. Following this dating, Zoroaster converted Vishtāspa, most likely a king of Chorasmia (an area south of the Aral Sea in Central Asia), in 588 bc. According to tradition, he was 40 years old when this event occurred, thus indicating that his birthdate was 628 bc. Zoroaster was born into a modestly situated family of knights, the Spitama, probably at Rhages (now Rayy, a suburb of Tehrān), a town in Media. The area in which he lived was not yet urban, its economy being based on animal husbandry and pastoral occupations. Nomads, who frequently raided those engaged in such occupations, were viewed by Zoroaster as aggressive violators of order, and he called them followers of the Lie. According to the sources, Zoroaster probably was a priest. Having received a vision from Ahura Mazdā, the Wise Lord, who appointed him to preach the truth, Zoroaster apparently was opposed in his teachings by the civil and religious authorities in the area in which he preached. It is not clear whether these authorities were from his native region or from Chorasmia prior to the conversion of Vishtāspa. Confident in the truth revealed to him by Ahura Mazdā, Zoroaster apparently did not try to overthrow belief in the older Iranian religion, which was polytheistic; he did, however, place Ahura Mazdā at the centre of a kingdom of justice that promised immortality and bliss. Though he attempted to reform ancient Iranian religion on the basis of the existing social and economic values, Zoroaster�s teachings at first aroused opposition from those whom he called the followers of the Lie (dregvant). Ahura Mazdā and the Beneficent Immortals. Zoroaster�s teachings, as noted above, centred on Ahura Mazdā, who is the highest god and alone is worthy of worship. He is, according to the Gāthās, the creator of heaven and earth; i.e., of the material and the spiritual world. He is the source of the alternation of light and darkness, the sovereign lawgiver, and the very centre of nature, as well as the originator of the moral order and judge of the entire world. The kind of polytheism found in the Indian Vedas (Hindu scriptures having the same religious background as the Gāthās) is totally absent; the Gāthās, for example, mention no female deity sharing Ahura Mazdā�s rule. He is surrounded by six or seven beings, or entities, which the later Avesta calls amesha spentas, �beneficent immortals.� The names of the amesha spentas frequently recur throughout the Gāthās and may be said to characterize Zoroaster�s thought and his concept of god. In the words of the Gāthās, Ahura Mazdā is the father of Spenta Mainyu (Holy Spirit), of Asha Vahishta (Justice, Truth), of Vohu Manah (Righteous Thinking), and of Armaiti (Spenta Armaiti, Devotion). The other three beings (entities) of this group are said to personify qualities attributed to Ahura Mazdā: they are Khshathra Vairya (Desirable Dominion), Haurvatāt (Wholeness), and Ameretāt (Immortality). This does not exclude the possibility that they, too, are creatures of Ahura Mazdā. The good qualities represented by these beings are also to be earned and possessed by Ahura Mazdā�s followers. This means that the gods and mankind are both bound to observe the same ethical principles. If the amesha spentas show the working of the deity, while at the same time constituting the order binding the adherents of the Wise Lord, then the world of Ahura Mazdā and the world of his followers (the ashavan) come close to each other. The very significant eschatological aspect of Zoroastrianism is well demonstrated by the concept of Khshathra (Dominion), which is repeatedly accompanied by the adjective Desirable; it is a kingdom yet to come. The conspicuous monotheism of Zoroaster�s teaching is apparently disturbed by a pronounced dualism: the Wise Lord has an opponent, Ahriman, who embodies the principle of evil, and whose followers, having freely chosen him, also are evil. This ethical dualism is rooted in the Zoroastrian cosmology. He taught that in the beginning there was a meeting of the two spirits, who were free to choose�in the words of the Gāthās��life or not life.� This original choice gave birth to a good and an evil principle. Corresponding to the former is a Kingdom of Justice and Truth; to the latter, the Kingdom of the Lie (Druj), populated by the daevas, the evil spirits (originally prominent old Indo-Iranian gods). Monotheism, however, prevails over the cosmogonic and ethical dualism because Ahura Mazdā is father of both spirits, who were divided into the two opposed principles only through their choice and decision. The Wise Lord, together with the amesha spentas, will at last vanquish the spirit of evil: this message, implying the end of the cosmic and ethical dualism, seems to constitute Zoroaster�s main religious reform. His monotheistic solution resolves the old strict dualism. The dualist principle, however, reappears in an acute form in a later period, after Zoroaster. It is achieved only at the expense of Ahura Mazdā, by then called Ohrmazd, who is brought down to the level of his opponent, Ahriman. At the beginning of time, the world was divided into the dominion of the good and of the evil. Between these, each man is bound to decide. He is free and must choose either the Wise Lord and his rule or Ahriman, the Lie. The same is true of the spiritual beings, who are good or bad according to their choices. From man�s freedom of decision it follows that he is finally responsible for his fate. Through his good deeds, the righteous person (ashavan) earns an everlasting reward, namely integrity and immortality. He who opts for the lie is condemned by his own conscience as well as by the judgment of the Wise Lord and must expect to continue in the most miserable form of existence, one more or less corresponding to the Christian concept of hell. According to Avestan belief, there is no reversal and no deviation possible once a man has made his decision. Thus, the world is divided into two hostile blocks, whose members represent two warring dominions. On the side of the Wise Lord are the settled herdsmen or farmers, caring for their cattle and living in a definite social order. The follower of the Lie (Druj) is a thieving nomad, an enemy of orderly agriculture and animal husbandry. The Gāthās, the early hymns, many of which may have been written by Zoroaster, are permeated by eschatological thinking. Almost every passage contains some reference to the fate awaiting men in the afterlife. Each act, speech, and thought is viewed as being related to an existence after death. The earthly state is connected with a state beyond, in which the Wise Lord will reward the good act, speech, and thought and punish the bad. This motive for doing good seems to be the strongest available to Zoroaster in his message. After death, the soul of man must pass over the Bridge of the Requiter (Činvat), which everyone looks upon with fear and anxiety. After judgment is passed by Ahura Mazdā, the good enter the kingdom of everlasting joy and light, and the bad are consigned to the regions of horror and darkness. Zoroaster, however, goes beyond this, announcing an end phase for the visible world, �the last turn of creation.� In this last phase, Ahriman will be destroyed, and the world will be wonderfully renewed and be inhabited by the good, who will live in paradisiacal joy. Later forms of Zoroastrianism teach a resurrection of the dead, a teaching for which some basis may be found in the Gāthās. Through the resurrection of the dead, the renewal of the world bestows a last fulfillment on the followers of the Wise Lord. Zoroaster forbade all sacrifices in honour of Ahriman or of his adherents, the daevas, who from pre-Zoroastrian times had degenerated into hostile deities. In the prevailing religious tradition, Zoroaster probably found that the practice of sacrificing cattle, combined with the consumption of intoxicating drinks (haoma), led to orgiastic excess. In his reform, Zoroaster did not, as some scholars would have it, abolish all animal sacrifice but simply the orgiastic and intoxicating rites that accompanied it. 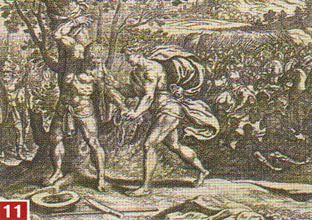 The haoma sacrifice, too, was to be thought of as a symbolic offering; it may have consisted of unfermented drink or an intoxicating beverage or plant. Zoroaster retained the ancient cult of fire. This cult and its various rites were later extended and given a definite order by the priestly class of the Magi. Its centre, the eternal flame in the Temple of Fire, was constantly linked with the priestly service and with the haoma sacrifice. After the conversion of Vishtāspa to such teachings, Zoroaster remained at the court of the king. Other officials were converted, and a daughter of Zoroaster apparently married Jāmāsp, a minister of the king. According to tradition, Zoroaster lived for 77 years, thus indicating that he died about 551 bc. After his death, many legends arose about him. According to these legends, nature rejoiced at his birth, and he preached to many nations, founded sacred fires, and fought in a sacred war. He was viewed as a model for priests, warriors, and agriculturalists, as well as a skilled craftsman and healer. The Greeks regarded him as a philosopher, mathematician, astrologer, or magician. Jews and Christians regarded him as an astrologer, magician, prophet, or arch heretic. Not until the 18th century did a more scholarly assessment of Zoroaster�s career and influence emerge. J. Duchesne-Guillemin, �L�Iran antique et Zoroastre,� in Histoire des religions 1, vol. 29 of Encyclopédie de la Pléiade, pp. 625�695 (1970), and La Religion de l�Iran ancien (1962), two works by a leading Iranist scholar�the first volume includes a selected bibliography, the second volume presents a very large bibliography and an excellent history of studies of Zoroastrianism; G. Dumézil, L�Idéologie tripartie des Indo-Européens (1958), the work of a French scholar of comparative mythology concerning Indo-European culture; R.N. Frye, The Heritage of Persia (1963), concentrates on Zoroaster and the respective religious sources, based on the findings of archaeological and epigraphic investigations; J. Gershevitsch, �Zoroaster�s Own Contribution,� Journal of Near Eastern Studies, 23:12�38 (1964); E. Herzfeld, Zoroaster and His World (1947, reprinted 1974); M. Molé, Culte, mythe et cosmologie dans l�Iran ancien (1963), upholds certain connections between ritual texts and individual and cosmological eschatology; G. Widengren, Die Religionen Irans (1965), by a leading Iranist and Semitist; R.C. 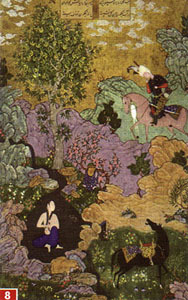 Zaehner, Dawn and Twilight of Zoroastrianism (1961), describes the later evolution of Zurvanism and deals with a later stage in the Zoroastrian religion that became the official religion of the Sāsānian period.